If you’re used to the sweet peanut butter typically found on supermarket shelves, you’re in for a surprise if you try ours. A pleasant surprise. This is not like the supermarket peanut butter, as the title of this post suggests. This is a savory, spicy version. How spicy depends on each person’s taste. I call it “peanut butter for grownups”. Mambá is not the name of a snake (notice the tilde/emphasis on the second syllable). The word is almost certainly of African origin; however, I am uncertain of the origins of the dish itself. The word for peanut in Congolese is muamba, with nearly the same pronunciation as the Spanish/Dominican word. As mambá is traditionally served spread on casabe (recipe) it suggests that perhaps mambá is also a very old tradition. Since the word can be neatly traced back to African slaves of Congolese origin, the dish, or something similar may have arrived with them. Thanks to John, one of our readers, for pointing us in the right direction. I have to say that I’m partial to our peanut butter – not only is it very flavorful, it’s probably also healthier than the industrial version. It contains very few ingredients, most of which you probably already have in your kitchen, or can get at short notice. If you don’t have casabe, toasted pitta bread or toasted slices of rustic bread will do in a pinch. Mambá is also popular in Haiti where it is produced commercially, and as a home dish. In the Dominican Republic though, it’s either a home-made concoction or a cottage industry product, made from natural ingredients with no artificial preservatives. Mambá is always a savoury spread, never sweet, and some people like it spicy – this is also my preference. Others prefer to forego the spicy peppers. It is usually served with casabe (cassava bread), but if you don’t have any at hand, rustic bread or toasted pita is a good way to serve it. Mambá Recipe (Spicy and Savory Peanut Butter): natural ingredients with no artificial preservatives. It's a savoury, sometimes spicy spread that you'll love. Pulse the peanuts in the food processor until it becomes a smooth paste. Add oil if the food processor is struggling, or you want a smoother paste (also my preference). Add half the pepper, and salt. Pulse again until it is well-mixed. Add more pepper if you want it spicier (don't overdo it, you need to be able to taste the peanut flavor). 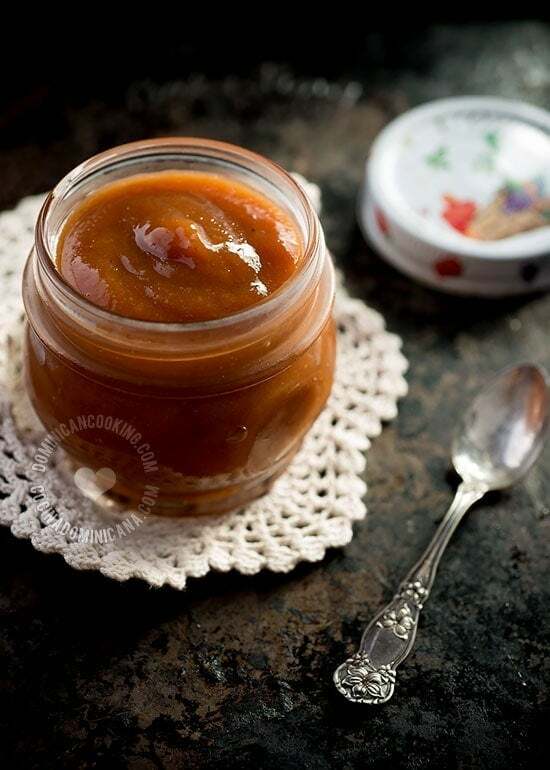 Once you have found the taste you like pour into a clean jar with a tight-fitting lid and keep refrigerated. It lasts about a week. 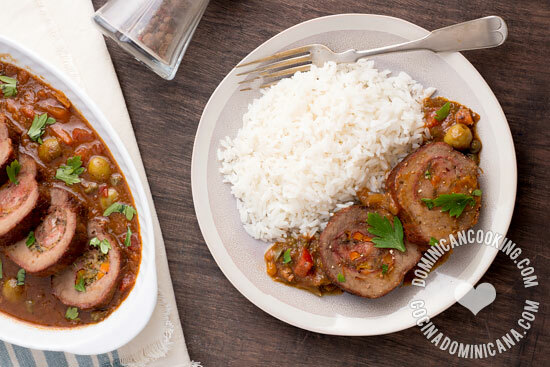 This mambá recipe is based on the ones I had as a child. As I don't know for certain what proportions were used in the ones we bought, I've tried to recreate it here. I like it rather spicy, so feel free to adjust this to your own taste. Being a scholar and traveler, lover of cultures linked to Africa and Latin America. I can tell you that the word Mamba as it is pronounced in Spanish, comes from a Kikongo word Muamba/mumbe (moo-am-bay) which is literally peanut or peanut sauce/butter. In DRCongo or Congo they still have a dish chicken and "muambe". Your site is awesome and I love taking inspiration from your knowledge. Thank You y bendiciones con la Gracia de Dios. John, thank you, thank you! I did a bit of research and added the information about the Congolese connection (and credited you for the tip). Thanks for your kind words too. I wish my favorite blogger (you!) had a TV show. OMG! It is so incredible to see the overlaps and similarities between Haitian and Dominican cultures. We definitely call it mamba tooooo! My cousin just brought some homeade jars from Haiti a couple weeks ago and its a different world than the peanut butter on the shelves here in the states. My American colleagues have been blown away by our style of peanut butter which sounds a lot like Dominican mamba described here. I will try this recipe at home as I have never tried to make it myself. Wish me luck! Is the pepper fresh or dried? You indicated that mamba is produced commercially in Haiti and implied that it isn’t homemade there. That is actually completely and utterly false. While it is produced commercially, most Haitian households made their own (in the same sense as Uncle Ben’s rice is available commercially in the US, but that most American-Caribbean households prepare their rice the traditional way). It is produced commercially in Haiti, this doesn’t mean that people don’t make it at home (which is not what I said). There are no brands of mambá in the DR at the moment, it’s more of a cottage industry here. Make of that what you will. Sorry for your research aunt clara. Mamba is homemade almost everywhere in Haiti. It started to be sold because it takes a lot of time to be made. And there are no preservatives added to it.I therefore respectfully suggest that you research Mamba as an Haitian product. By the way, that thin, liquidy thing shown in the picture has nothing on what we call Mamba in Haiti. Please do a search on Google for “mamba Haiti” (even sold online!). We did not say it is only made commercially in Haiti, but that unlike in Haiti, where it IS made commercially (as well as homemade), in the DR there is no local production that isn’t home made.